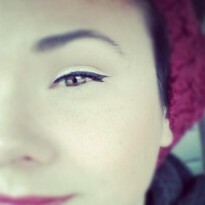 I'm a romance girl. Every book I read has a romance angle of some sort. 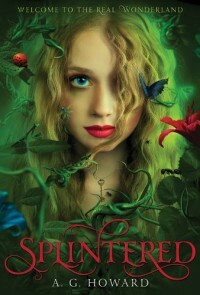 It doesn't have to be the focus of the book, but I need a little flirtation to keep me intrigued.However, Splintered is a book where I think the romance kind of got in the way. The other parts of the book were so amazing, the characters and scenery so rich that getting sidetracked with Jeb and Al's drama was a bit distracting.Still giving it a 5 (though I feel 4.5 is more appropriate) because it was just so awesome.I do have to say though it's completely altered the way I see Alice in Wonderland. The Disney version is currently my kids movie of choice. We watch it at least once a day (watching it right now in fact), and now when I watch it I picture Splintered's version of the characters.March Hare...not so cute, lol.